This is a model representation of Rose Grove which is in N Gauge scale. The layout itself shows the shed area, coaling stage, turntable and station. 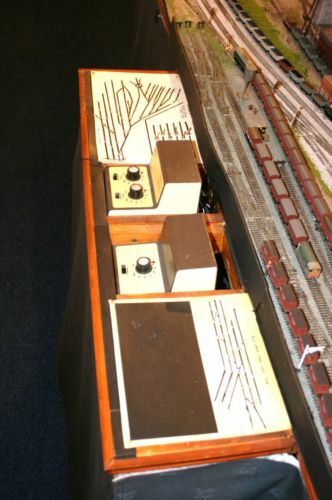 The layout was seen on Ebay about 28/10/2011. Permission was granted off the then owner at the time. This view is looking towards the coaling stage. This view shows the coaling stage and engine shed. This view shows the station and a few sidings.